The B.C. government is proposing to cut the HST by two percentage points by 2014, send out cheques to families and hike corporate taxes, Finance Minister Kevin Falcon announced on Wednesday morning. Change proposed if HST survives the referendum. Rate would be cut from 12 to 10 per cent. Children and seniors to get $175 rebate cheques. Corporate tax rate hiked from 10 to 12 per cent. Small business tax cut cancelled. The B.C. government is proposing to cut the HST by two percentage points by 2014, send out cheques to families and hike corporate taxes, if British Columbians vote to keep the tax in a critical referendum this summer. The government will reduce the HST by one percentage point in July of next year and then another point in July of 2014, cutting the tax from 12 to 10 per cent, if the tax survives the referendum, Finance Minister Kevin Falcon announced on Wednesday morning. The government will also issue transition cheques to all B.C. families with children under 18. The one-time payments of $175 per child will offset increased HST costs before the first cut takes effect next year. There will be similar payments to low and modest income seniors, meaning the average B.C. family will pay $120 a year less in tax under the 10 per cent HST when compared with the old 12 per cent PST/GST combination, the finance ministry said. In addition, the government will increase the general corporate income tax rate to 12 per cent from the current 10 per cent on Jan. 1, 2012, and postpone the reduction in the small business tax rate planned for April 1, 2012, said the ministry. B.C. 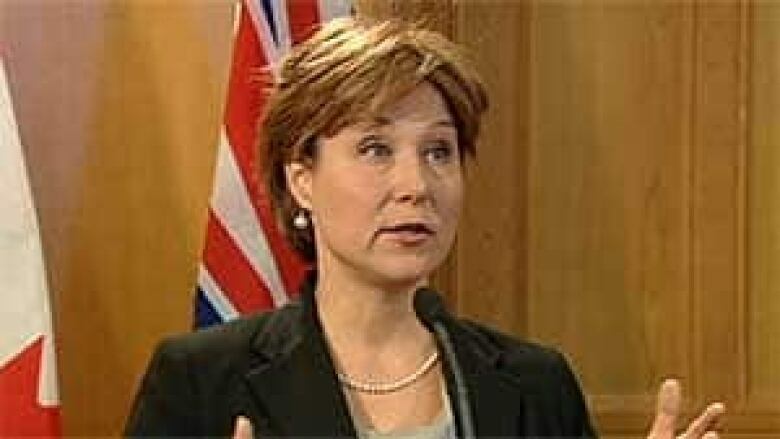 Premier Christy Clark said she hoped the changes would convince people the B.C. Liberal government had changed since she took over from former premier Gordon Campbell in February. "I hope people will look at what I have done so far in the two months that I have been here and see that there has been real change in the way that government operates," said Clark after the proposals were rolled out. 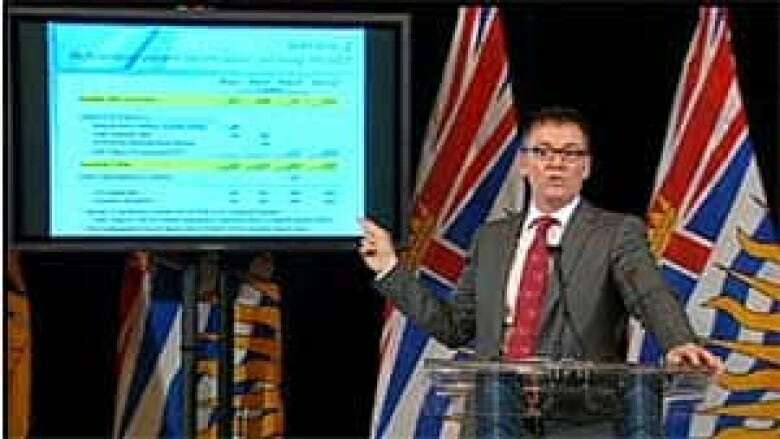 NDP Opposition Leader Adrian Dix said the proposed changes were just more financial turmoil caused by the B.C. Liberals. "I hear the minister of finance and the premier, who caused this chaos — this government, the B.C. 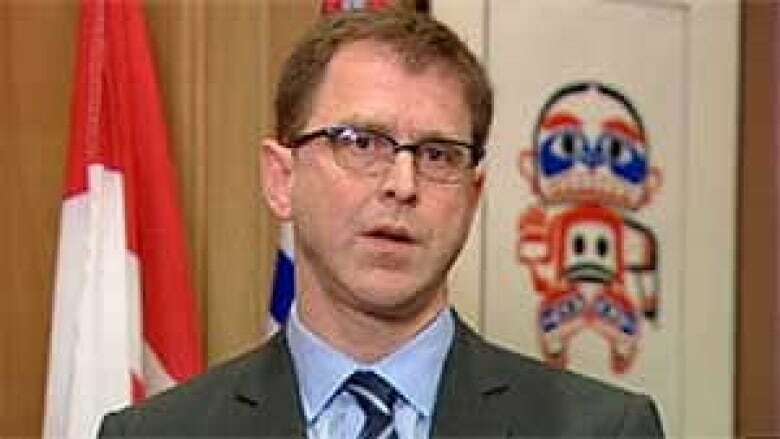 Liberal Party caused this chaos to the economy — now saying if you don't follow us now, even though we caused all this damage, that there will be more damage — threatening voters," said Dix. Reaction to the proposed changes was mixed in the business community. John Winter, the president of the B.C. Chamber of Commerce said the benefits of keeping the HST outweigh the higher corporate taxes, and he hopes the changes are enough for British Columbians to vote in favour of keeping the HST. "These are very bold, strategic moves by government to change the problems the detractors have been identifying without reverting back into the old PST/GST system. The benefits of harmonization are far greater than the corporate taxes that are contemplated being changed," said Winter. But Ian Tostenson, the president of the B.C. Restaurant and Food Services Association, was less enthused about the changes, because the tax still applies to restaurant food, but not groceries. "We're pretty neutral, negative almost on this, not that we don't see that the HST is likely a good tax for the economy, but we continue to have, even at 10 per-cent, a real difference in taxation between ourselves and food that you purchase in a grocery store, that's our biggest concern,"
The Greater Vancouver Homebuilders Association was also lukewarm on the changes. President Peter Simpson says the higher corporate taxes will hurt homebuilders, but the lower HST would obviously benefit new homebuyers. "[On] new homes — two percent is welcome certainly, but it's staged and I don't think people will wait to buy a home because it's coming off an extra point in 2014, " he said. The announcement comes less than one month before the ballots for the HST referendum are mailed out to B.C. voters on June 13. All ballots must be received by July 22 to be counted. The move also comes after an independent report found the HST had increased the tax burden on the average family by $350 a year, although low income families are actually paying less. The report also found that the HST has shifted a greater share of taxes from business to individuals and families and that the government was taking in more than $820 million a year in revenue than it would have under the older PST/GST. Before the changes were announced, the government also conducted an online poll asking taxpayers how they'd feel about a variety of possible tax-relief measures. Currently, the HST is in B.C. is 12 per cent, one per cent lower than the 13 per cent HST in many provinces.